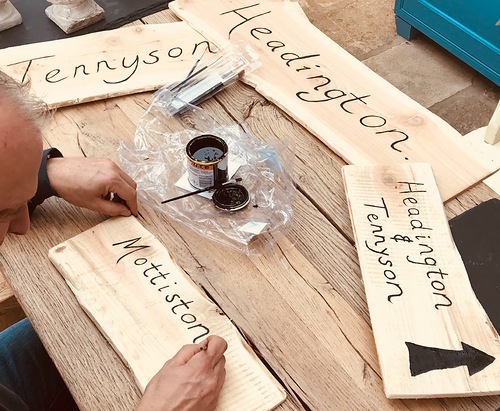 We have been searching the Island for years to secure the most special location for our unique boutique glamping site with many hours of thought having gone into each element of the lodges to create a special place for you to have your holiday. 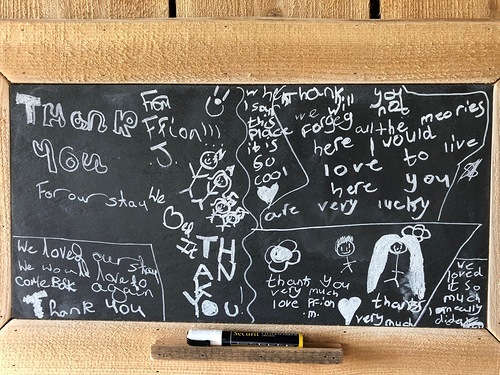 We are a family run business, the four of us working hard to run things as smoothly as possible and making the lodges a place in which we would like to stay. During the holidays, our sons have played an important part in the grass-cutting and changeover duties! 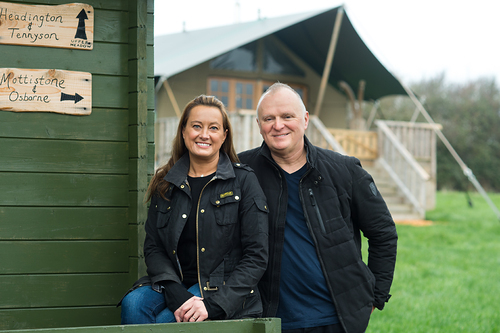 Our first two spacious lodges opened in July 2017 with two more in March 2018. Glamping The Wight Way is aiming to increase the choice & provide high quality accommodation here in the West Wight where our glamp site is quiet, beautiful & close to everything you may need, on the outskirts of an Area Of Outstanding Natural Beauty. Although gently off grid, each of our tents has solar powered lighting in each room & usb charging points for your mobile phones. Used carefully you should be kept out of the dark & fully charged! We also have 2 x flushing toilets per tent. Gas fired fridge, hob and outdoor shower! Two wood burning stoves provide heat, the oven with hotplate for cooking and hot water for the bath! We are a pet and vehicle free glampsite (with a separate private car park).